RJM Aviation has 80 national employees and around 15 expatriates. Over the last 13 years the company has gathered an incomparable experience in Chad. We reach the most isolated destinations under the most demanding weather, airfield or safety conditions. Does your travel demand surpass the capacity of our airplanes? No problem! Thanks to our partners in Europe, Africa and the Middle East, our team has a rapid reaction capacity to meet your demands, but also to react in case of breakdown. Moreover, since we have the capacity to carry out safeguarded operations, we work as an intermediate for numerous companies in Chad and surrounding countries. RJM Aviation has built a partnership of trust with the chief aviation and airport authorities in Chad, including ADAC (Autorité de l’Aviation Civile du Tchad), ASECNA (Agence pour la Sécurité aérienne en Afrique et à Madagascar) and security forces (policy and military police). 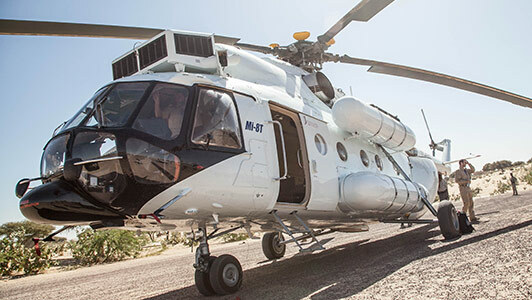 RJM Aviation has co-operated with international clients for peacekeeping operations and demining programmes. Since 3 years, RJM Aviation continues its quest of excellence and collaborates with petroleum extraction enterprises in Chad. Currently, several contracts are being set up with petroleum and gas companies. What is RJM Aviation’s future? The company’s main objective is to grow in the Sahel. With more than 40 years of experience, RJM Aviation offers trusted services in the region. The short-term vision includes the purchase of two new ATR 42’s and two Beech 200 King Air aircrafts for even more independence. RJM Aviation also seeks for more independence in its maintenance services. For this reason general director Thierry Miallier has decided to construct a hangar capable of receiving an ATR 42. This workplace has the European EASA PART 145 certification and will soon become the principal maintenance base for all aircrafts. RJM Aviation is regularly evaluated by airline audit agencies, including Hart Aviation, Beaconfield, Heli-Visions Inc., Schlumberger, Litson, Flight Safety Foundation (programme BARS) and CITIC. RJM Aviation regularly evaluates all of its partners for an optimal quality of service. The company has five departments. 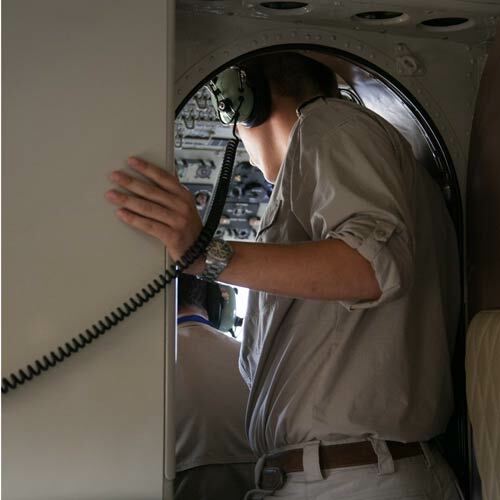 Ground-based and airborne activities are the heart of the company. The maintenance department consists of personnel previously employed as mechanics of prestigious airline companies. The Quality and Risk Management department is responsible for the implementation of all security measures. The ‘HSE’ department is accountable for hygiene, ground security and environment. In 1999 Thierry Maillier has bought the company with his own funds. RJM Aviation conducts a policy of reinvesting the majority of its benefits in the purchase of aircraft and equipment for maximum control of its activity. In case of specific long-term contracts, RJM Aviation sometimes chooses to purchase aircraft rather than leasing. Thierry Miaillier is general director and principal shareholder. Ousmanou Amadou is vice director and partner since the start. He recently entered in the capital of the company. 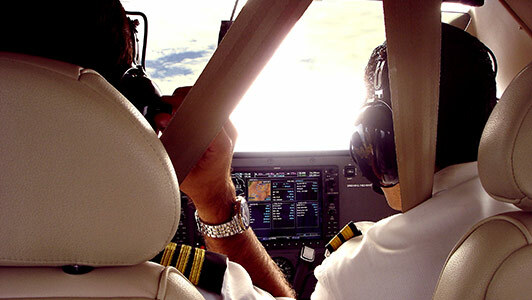 All maintenance is carried out in EASA Part 145 certified workshops. Once the new hanger will be constructed, it will house all repair workshops. Each flight is tracked by an operating agent and a tracking agent. They also handle VHF/HF communication with the on-board crew during the flight. The operating department is able to independently prepare flights thanks to software with which the ground crew can manage any flight file. AQ/SMSQ PULSE is the principal security and quality management software. This application helps identifying main differences with other companies and generating security recommendations. RJM is a private aviation company based in N’Djamena in Chad. It owes its name to René Jan Mary (RJM), former French Army pilot who, in the 1970s, started a company in Sahr for opening up the South of the country for its neighbours during the war in N’Djamena. When peace arrived, RJM Aviation moved to N’Djamena. When its founder retired in 1999, current director Thierry Miaillier bought the company with his own funds. He decided to upgrade the service level to meet the demands of a new market: oil. The main decision is to stop using piston engine aircraft and to employ an engineer of the French Airforce for an upgrade to state-of-the-art material.